Wow, thanks for such a great and thorough review, Angela! 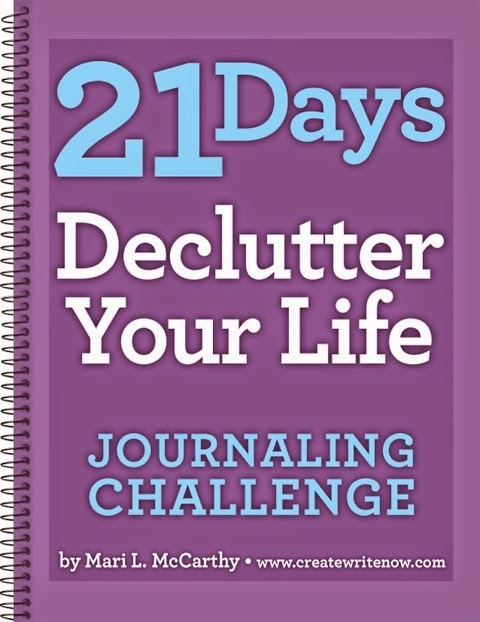 The Declutter Your Life Challenge sounds like something I most likely need to tackle myself. I have a huge problem with clutter myself, but then get paralyzed and can't do anything about it. Through some essay writing, I've figure out a lot of it has to do with the fact that my parents basically lived like gypsies when I was a kid and we never stayed anywhere long enough to accumulate things. I've lived in my current house for 11 years so you can imagine how much clutter we've accumulated! Me too, Renee! I need to declutter! LOL, Angela, I completely understand the accumulation of "stuff." I love to do upcycle crafting, which means every pretty box, bottle, etc... holds promise--but where to put it all? Ugh! I've been trying to clear out the garage for three years now just to make some room for craft storage! I finally just put a large baker's rack in my office to hold supplies, but it's spilling over (and not too pretty to look at). Just looking at the volume of clutter in my house makes me feel energetically/spiritually exhausted. I'm glad to hear I'm not the only messy person here!